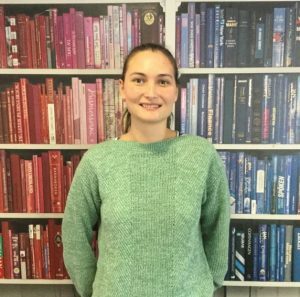 Get to know our newest team member, Jessica, as she joins EC Oxford English School at the start of this academic year with questions our students came up with. After School I went travelling around Europe for a bit. At the beginning of 2018 I enrolled on a Degree Course with Open University in Politics, Philosophy and Economics. Since then I’ve been studying and working part-time in my local Cinema. I am a Student Services Intern. Everyone has made me feel really welcome, from the students to the staff. This has meant that it’s been very easy to settle into the environment. I’ve also really enjoyed learning about the job so far; it’s really varied so you never get bored. I look forward to seeing what else the job entails. The history. You can feel that Oxford holds a lot of History, from the buildings to the alleyways, the libraries and the University Colleges, there is almost always an interesting story behind how things came to be. There is also a sense of intimacy about the City: it’s not too big or too small, which means you’re never too bored or too overwhelmed. I was born and grew up in Zimbabwe. When I was about 13 I moved to South Africa where I went to High School for 5 years. After I finished my final exams, my family and I moved to England. I now live in Witney, a town about 10 Miles outside of Oxford and have been here for around 3 years. I did 5 years of French when I was at school. It didn’t come easy to me at first, but I began to enjoy it a bit more as time went on. I would really like to go to France to try to learn the language better. I try to swim in my free time. I also read as much as I can. I enjoy spending time with my family and meeting new people. I’m hoping to use my Open University credits to go to University in 2019 to study Philosophy.